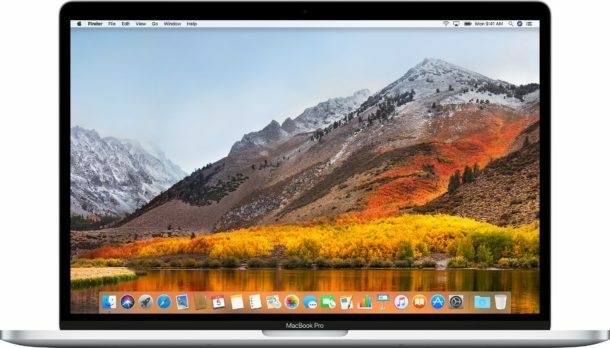 Apple has released macOS High Sierra 10.13.3 Beta 2 for Mac users involved in beta testing the operating system. MacOS High Sierra 10.13.3 beta 2 likely continues to focus on bug fixes and minor enhancements, perhaps addressing some lingering issues that some High Sierra users may have experienced. Users who are enrolled in the macOS system software beta testing programs can find the 10.13.3 beta 2 update available now through the Mac App Store Updates tab. The initial macOS High Sierra 10.13.3 beta 2 build is available to developer beta testers, and public beta versions typically arrive soon after. Anyone can enroll in the public beta testing program for free if they wish to beta test system software. Additionally, anyone can also enroll in the developer program and also gain access to beta system software (as well as the ability to submit apps to the App Store), but at an annual cost of $99. Apple usually runs through multiple beta versions of system software before releasing a final version to the general public, this may suggest the final release of macOS 10.13.3 could arrive for High Sierra users sometime early next year. The most recently available final version of macOS High Sierra is currently macOS 10.13.2.